Warmer weather is here, so we can finally embrace the biggest fashion trends of 2016! Over the weekend, I had the pleasure along with two awesome ladies to chat spring summer trends at the Walt Whitman Shops in Huntington. 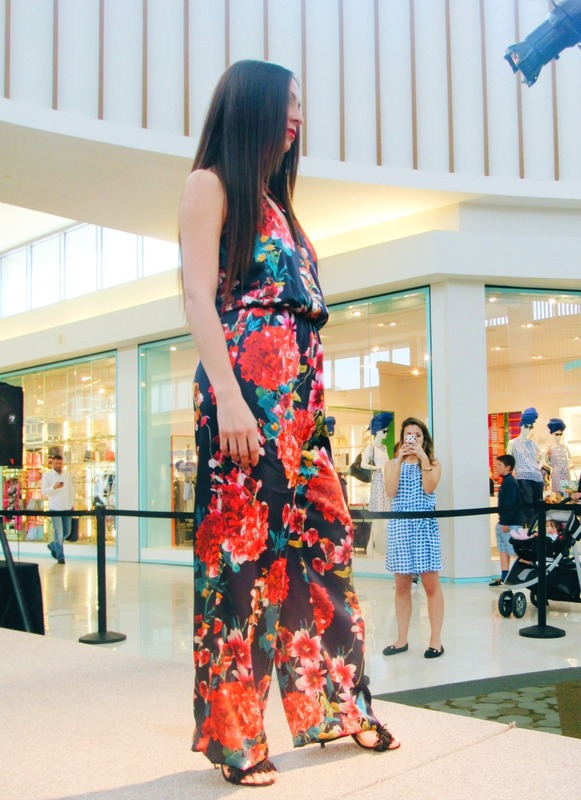 The Panel was followed by a fashion show presented by Bloomingdale’s, demonstrating how to wear the season’s hottest trends. The theme this season is low-key luxe vibes; featuring a combination of light weight and textured fabrics in styles that are fun, playful effortlessly chic, and are totally real-life wearable. Browse a few of the looks highlighted, and use the tips below to get your wardrobe spring and summer ready now! When it comes to beauty, think simple, pretty and fresh. Perfect skin highlighting a singular makeup statement - preferably bold lips. Finish off with low manipulation, more natural hair. Natural curls, braids, natural hues, layered bobs or really long hair are among the trends. The bucket and the cross bag are the bag to be seen with. When it comes to eyewear, there are no more rules. Just know what works best for your face shape. Gladiator sandals, pointed heels, oxford flats, fashion sneakers and white shoes are big in footwear this season. Pastel hues paired with lady like accessories are sharing the spotlight with bold bright tones paired with textural addons. This season glitz is not just for night time. Go festive during the day by embracing sparkle and sequin in green, burgundy, and navy. Or go classically neutral in monochromatic white ensembles. Pyjama dressing has gotten an upgrade to street style. However, think luxe silk fabrics, and for a more modern look opt for tapered pant styles. Exposed shoulder are huge again! Go for pieces that elegantly expose the shoulders without necessarily being off-the-shoulders. The prairie peasant vibe is the new boho. Opt for soft, loose and gathers in cascading tiers. But if you’re looking for a more modern shape… Then micropleats, though unstructured, it drapes beautifully and flatters any body type. Slouchy wide leg pants with waistlines that rest low on hips have made a comeback this season. While the paper bag style waist (the most flattering of waist), is competing for the spotlight. Wear them both with slim fitted tops, tanks, and tees tucked in. And last but not least, denim is still big and is taking us back to the past with the wide leg jeans and high waist skirts. Which trends will make the biggest impact on your wardrobes this summer?